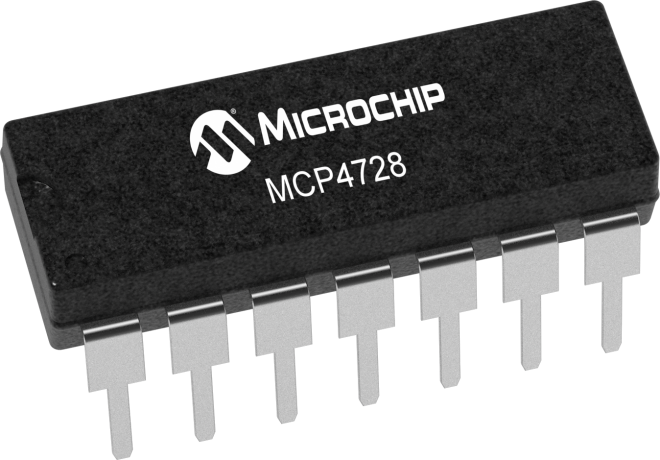 MCP4728 is a quad channel, 12-bit voltage output Digital-to-Analog Convertor with non-volatile memory and I2C compatible Serial Interface. The user can program the DAC input codes, device configuration bits, and I2C address bits to the non-volatile memory (EEPROM) by using I2C™Compatible interface commands. The non-volatile memory feature enables the DAC device to hold the DAC input codes during power-off time, allowing the DAC outputs to be available immediately after power-up.